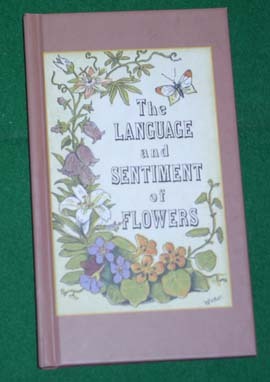 During the nineteenth century, various guides for the meaning of flowers were developed as one method to interest people in botany. This particular volume is by a nineteenth century author who did write during and after the civil but the exact publication date is unknown. However, the meanings contained in this book are similar to those from other books written before or during the civil war. Of course, if someone wanted to send a message in flowers, an essential element is that the intended recipient of the message have a guide to floral meanings. And, although many books generally assigned the same meaning to certain flowers, sometimes the meanings differed. So, an equally important element was that the sender and receiver use the same manual, otherwise an intended compliment might be perceived as an insult!